Basant Panchami 2017: 8 things you should know about the festival! 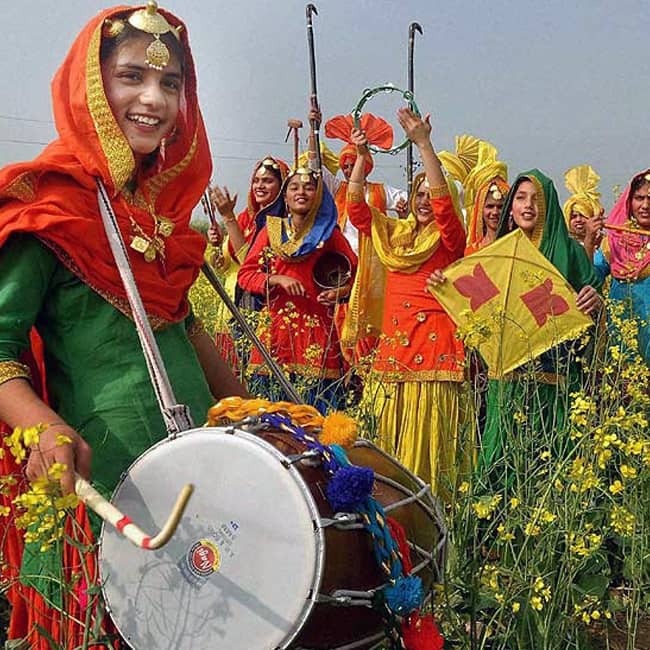 Basant Panchami marks the beginning of spring season and falls on the fifth day of Maagh each year. 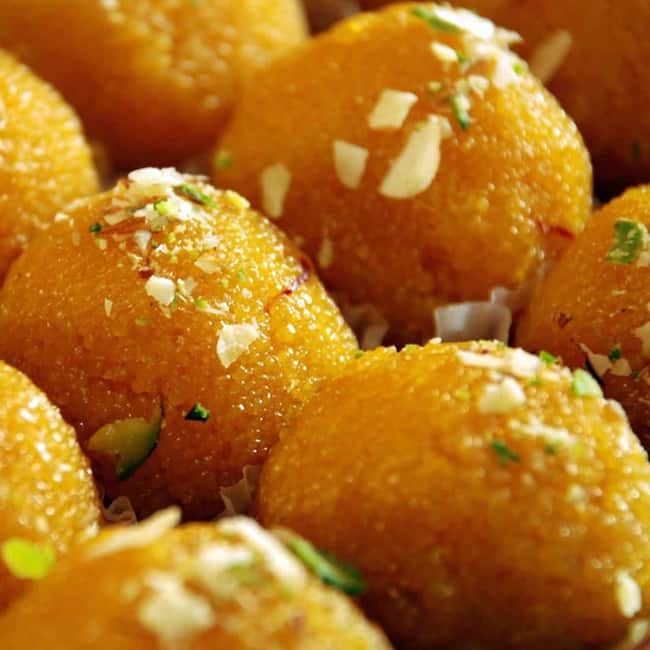 The word 'Basant' means spring and 'Panchami' denotes the fifth day on which the festival falls. Here is why its celebrations are specific every year. 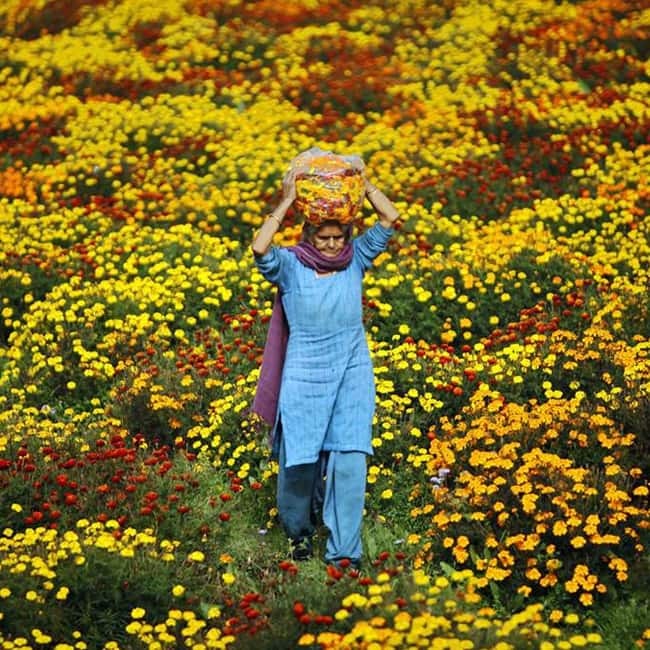 Spring means pleasant weather, free from the scorching heat, the cold bites or dodgy rains. It is therefore crowned as the king of all seasons. According to custom, temples dedicated to Goddess Saraswati are filled with sacred offerings a day before Basant Panchami, with the belief that the Goddess would join in the celebrations by attending the traditional feast the following morning. The scintillating yellow colour holds great importance on this day. 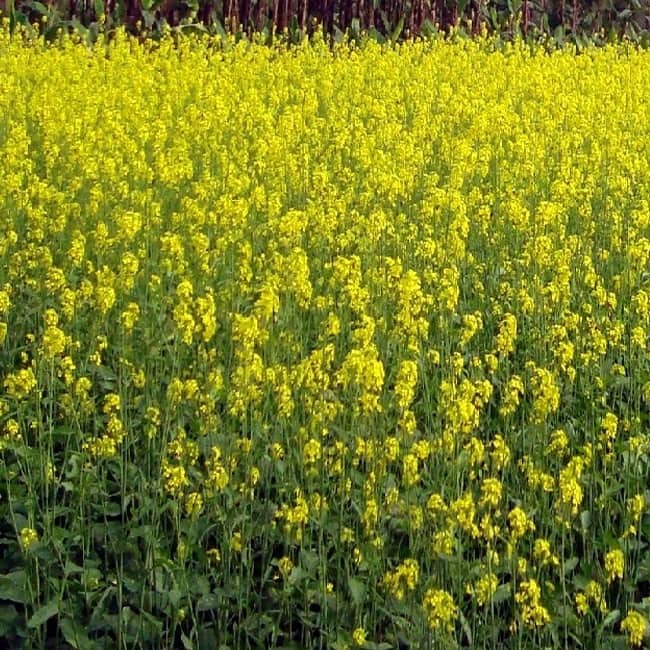 The color of Basant (Spring) is yellow, also known as the 'Basanti' colour. It symbolizes prosperity, light, energy and optimism. This is the reason why people wear yellow clothes and make traditional delicacies in yellow hues. 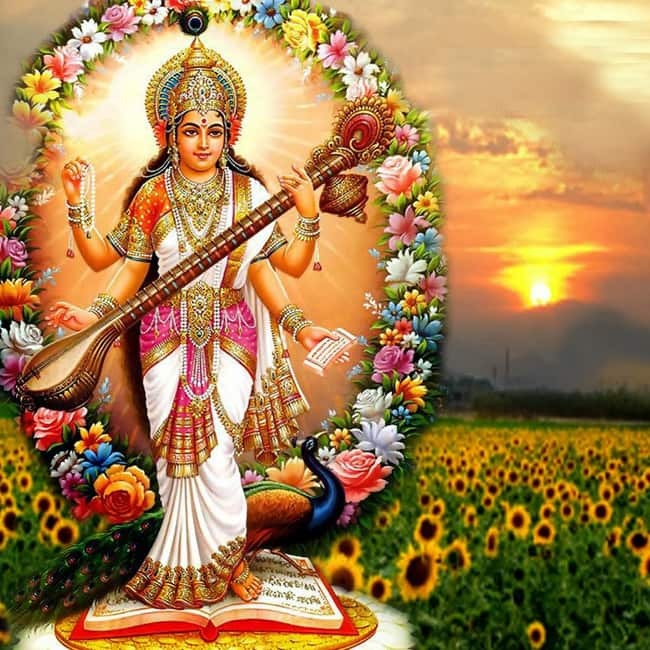 Basant Panchami observes the birth of Saraswati, the Goddess of knowledge, education, art, culture and music. Traditionally children were taught to write their first word on this day. It is considered a blessed beginning of learning with the Goddess of Knowledge worshiped as the presiding deity on this day. 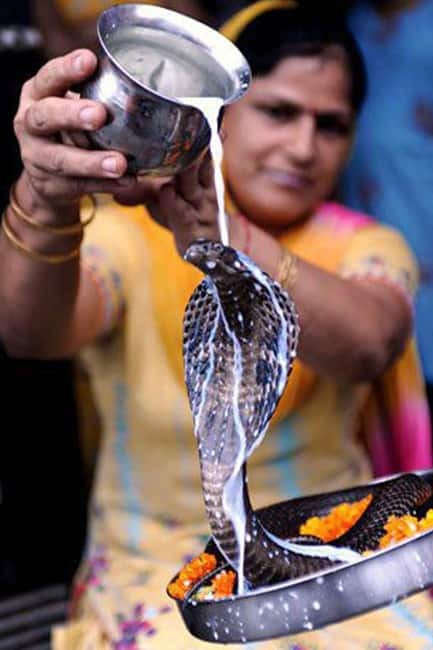 According to folklore, snakes are fed with milk on Basant Panchami to bring wealth and prosperity in the coming days. 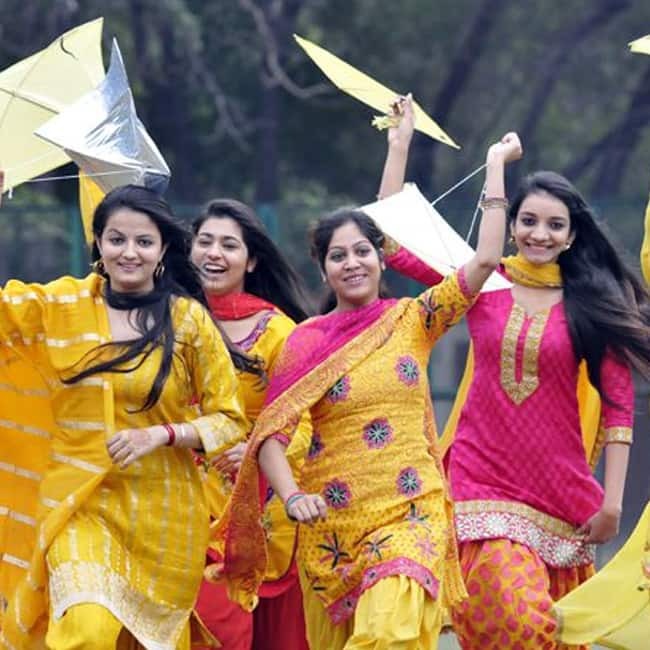 Kite flying, the popular sport of India, is associated with the festival of Basant Panchami. 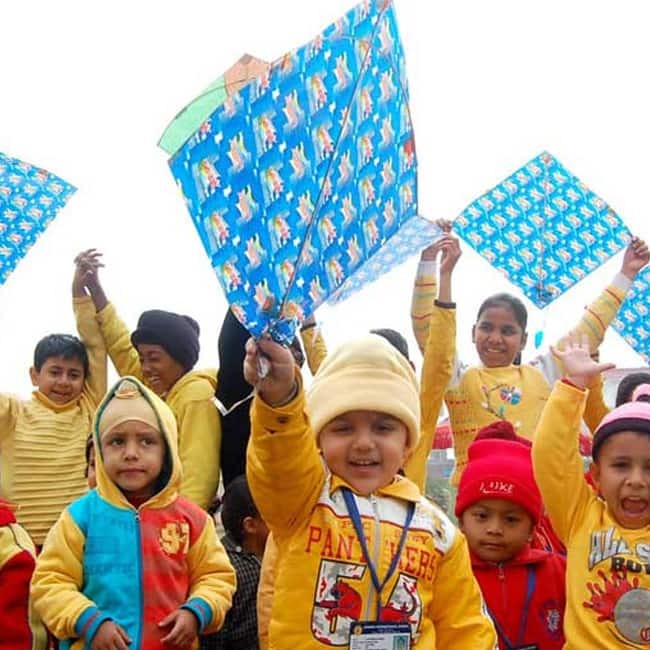 Especially in Punjab, the kite flying tradition has been given great importance. Also, on the day of Basant Panchami a log with a figure of Holika is placed in a public place. During the next 40 days, devotees add twigs and other flammable material to form a pyre which is lit on Holi. December ’16 AICPN ( 275 ) has been released yesterday (31st Jan 2017) with that DA is almost fixed @ 2% ( total 4%). Though this is not the final figure because the Union are protesting against the DA %. If there are any changes to DA%, we will update you at the earliest. We did expect this DA% due to 261.4 Average base and in future if this figures get altered, then we can expect a DA% change too. As we have written before, this was expected due to demonetisation of 500 & 1000 rupees’ currencies. The dip of 2 points in AICPN value compared to Nov’16, Demonetization is also one of the reason. Under the 7th Pay Commission slab – which was implemented ten years after the previous pay commission the salaries of the government employees saw a marginal rise of just 14% . The basic pay under the 7th CPC the minimum wage was increased to Rs 18,000 from Rs 7,000 (2.57 times) while the salary of the senior government officials has gone up to Rs 2.50 lakh from Rs 90,000(2.77 times). The minimum qualification required at lower level appointments from the year 2008 has been revised from 8th pass to 10th pass (SSLC) as per the 6th CPC recommendations, hence the minimum wage should increase by 25% compared to earlier pay commissions. 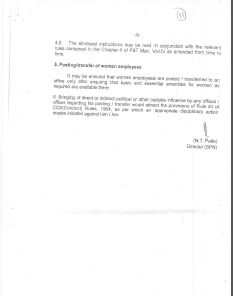 The Staff Side (JCM) had demanded the fitment formula of 3.72 that is Rs 26000/ Rs 7000 as on 1st Jan 2014. Whatever angle we look the 7th CPC has cheated us on the minimum wage and fitment formula compared to the earlier pay commission this pay commission has given us the lowest wage hike of just 14% compared to last 40 years. Meanwhile, some reports suggest that the employees who have been eagerly waiting for higher allowances under the 7CPC will have to bear three more months of delay to get their allowances revised . Due to early Budget which is followed by Assembly Elections in five states, due to which model code of conduct has been imposed, the government is likely to delay the payment of the higher allowances. The polling in five states – Uttar Pradesh, Punjab, Uttarakhand, Goa and Manipur – will begin on February 4 and the results will be declared on March 11, after that only our allowances will be decided. The Central Government financial position is very good even after demonetization, only a political decision the Central Government on our demands. Comrades the Hon’ble Finance Minister has given a given a press statement in media channel’s that the effect of demonetisation has not taken place on the revenue collection of the union government, in fact that the revenue collection has increased, even the revenue of the State Governments has increased considerably, the press release of the Ministry of Finance on 9/1/2017 has endorsed the Hon’ble Finance Minister statement. 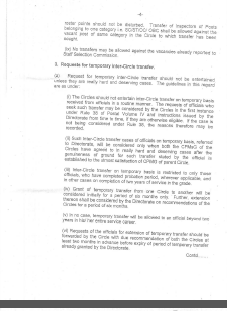 To avert the 11th July CG employees strike the Hon’ble Prime Minster had instructed the group of ministers including Shri Rajnath Singh, Hon’ble Home Minister, Shri Suresh Prabhu , Hon’ble Railway Minister and Shri Arun Jaitely , Hon’ble Finance Minister to hold discussions with the Staff Side (JCM) on 30th June 2016 and the Shri Arun Jaitely , Hon’ble Finance Minister had published a written assurances in the Government website on 6th July 2016 leading to deferment of the strike . Now comrades seven months has passed the assurances given by the group of ministers has not been fulfilled so far, in this connection the NJCA met on 17th January 2017 at New Delhi. The Confederation was represented by Comrades KKN Kutty, M Krishnan and MS Raja. 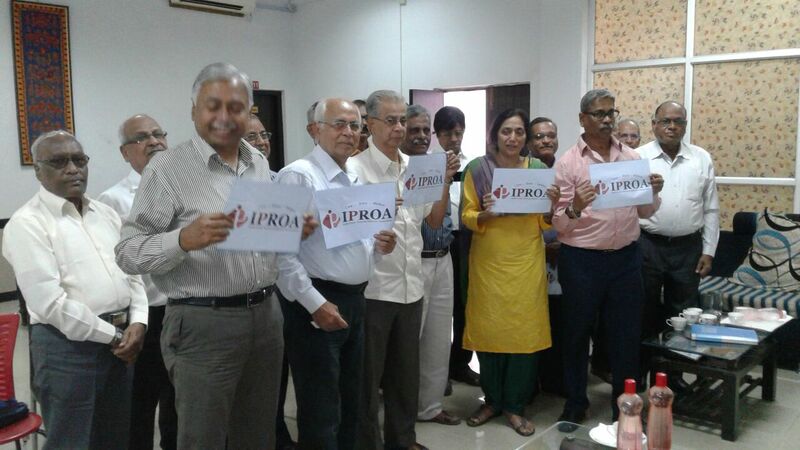 Comrades RN Parashar and Giriraj Singh represented NFPE (constituent of Confederation). Com. Shiva Gopal Mishra Staff Side Secretary (JCM) and Com M. Raghavaiah, Chairman Staff Side (JCM) had a meeting’s with the Cabinet Secretary and Shri Rajnath Singh, Hon’ble Home Minister on 18th Jan 2017 regarding the demands of the CG employees as assured by the group of ministers on 30th June 2016. Shri Rajnath Singh, Hon’ble Home Minister had once again assured that the issues of CG employees will be resolved, but no time frame has been fixed for resolving the issues or any concrete assurances are given on our demands. The strike is the last resort for achieving our demands, but we are forced to undertake the strike action due to following events. 1) The 7th CPC has erred in fixation of the minimum wage by adopting the wrong prices, and methodology. Thereby the minimum wage and fixation formula has to be corrected. 2) The Government has assured our staff side leaders that they will settle the demands of CG employees in four months’ time, but seven months has lapsed till now the demands of CG employees are not settled even allowances issue is also not settled so far. 3) Comrades , now the revenue collections of the Central Government has increased , the Central Government has financially capable to accept our demands of revision of allowance, minimum wage, fitment formula etc., revision of tax slabs should also take place , the Central Government employees should benefit as we were serving with dedication the Central Government and Central Government is a model employer. Comrades Central Government has now take a political decision on our demands of revision of allowance, minimum wage, fitment formula and revision of tax slabs. For this we have to struggle and put pressure on the Central Government to accept our demands. In this circumstance, it should be our endeavor to campaign more vigorously for the successful strike on 16th March 2017. 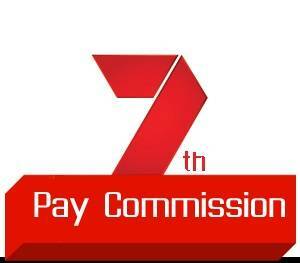 7th Pay Commission – Higher Allowances Likely After Union Budget 2017. Some analysts are hopeful that the government will implement Seventh Pay Commission-related allowance hikes after the Budget 2017, which is scheduled for today the February 1. The Centre implemented the 7th Pay Commission (CPC) pay hikes in September 16 and is expected to implement the allowance hikes in March after the state elections, domestic brokerage Religare said in a report. 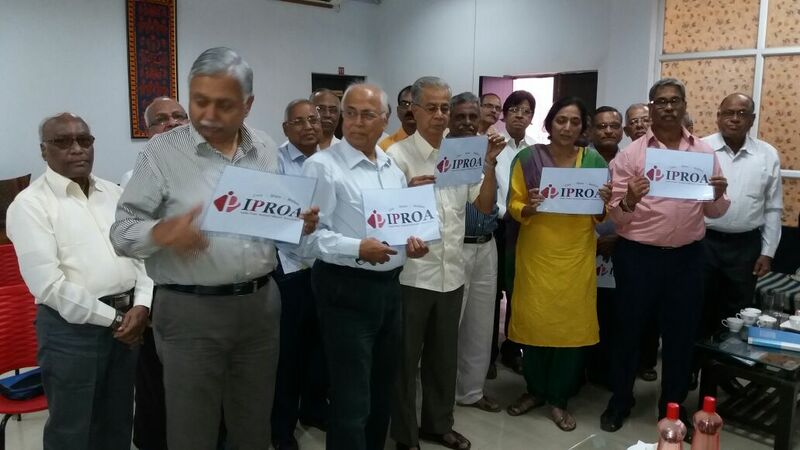 This will boost the income of one crore central government employees and pensioners, the brokerage added. “At worst, if the government is under pressure, this allowance can be pushed to the next year, as was done in the previous pay commissions. The housing allowance does not attract arrears,” HSBC Securities said. Religare, however, said that implementation of the housing allowance portion of the 7th Pay Commission as well as GST or Goods and Services Tax is expected to push up average inflation. Another global brokerage Morgan Stanley said that higher pay commission-related payouts could put pressure on government finances. 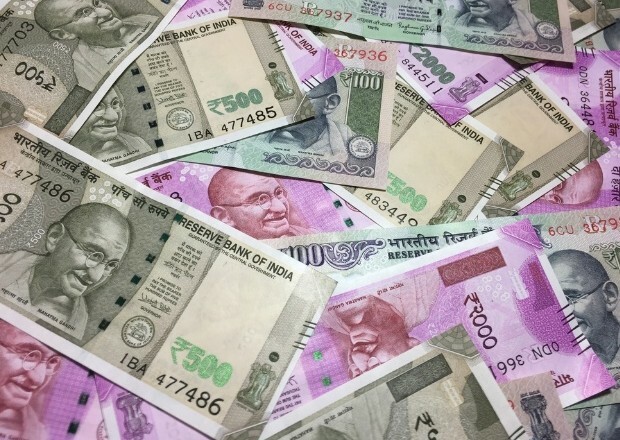 “Trailing higher wage spending and further drain are expected as the government is likely to pay the higher allowances due as part of the Seventh Pay Commission wage hikes,” it said in a report. The Union Cabinet had in June accepted the recommendation of Justice A K Mathur headed 7th Pay Commission in respect of the hike in basic pay and pension but its suggestions relating to allowances were referred to a committee. The 7th Pay Commission examined a total of 196 existing allowances and, by way of rationalisation, recommended abolition of 51 allowances and subsuming of 37 allowances. The maximum downward pressure to the change in current index came from Food group contributing (-) 2.74 percentage points to the total change. At item level, Arhar Dal, Gram Dal, Masur Dal, Urd Dal, Groundnut Oil, Muslard Oil, Chillies Green, Ginzer, Brinjal, Cabbage, Carrot, Cauliflower, French Beans, Gourd, Green Coriander Leaves, Methi, Palak, Peas, Potato, Radish, Tomato, Banana, Lemon, etc. are responsible for the decrease in index. However, this decrease checked by Rice, Wheal, Wheat Alta, Coconut Oil Fish Fresh, Goat Meat, Milk Snack Saltish, Cooking Gas, ESI Premium Contribution, Petrol, Flower/Flower Garlands, Toilet Soap, etc., putting upward on the index. It took 68 years to hike the minimum wage of CG Employees from Rs.55 to Rs.18000 p.m. Almost 68-years after Independence, the Indian government has announced seven central pay commission on a regular interval. In this 68 years, since India got its Independence from British Raj there has been an impressive hike in the salaries of senior staffers working under the payroll of Central Government. But it is quite noteworthy that the minimum wage – under which 83 per cent of the government fall – has not seen ay big changes. The salaries of junior most Central Government officials’ has increased from Rs 55 (under the 1st Pay Commission) to Rs 18,000 (under the 7CPC). 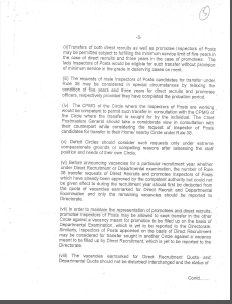 On the other side the senior most government staffers salaries have been hiked from Rs 2000 (under 1CPC) to Rs 2.5 lakh (under 7CPC). Due to this ‘inequality’ in wages most of the government officials are unhappy with the decision and had threatened for an indefinite strike several times. After India became Independent in 1947, the minimum wage of central government employees was Rs 55 per month for next 10 years while most of the senior central government staffers took home a handsome salary of Rs 2,000 per month. In 1957 when the 2nd Pay Commission was implemented the minimum wage was increased to Rs 80 per month while maximum salary was increased to Rs 3,000 per month. The minimum wage entered into four digit under the 5th Pay Commission where the take home salary of junior most staff was increased to Rs 2,550 while at the same time senior government officials salary was increased to Rs 26,000. After 6th Pay Commission came into effect the minimum wage came up by Rs 7000 per month from Rs 2,550 whereas the monthly salary of senior government officials rose to Rs 90,000. Under the 7th Pay Commission slab – which was implemented almost eight years after the previous pay commission the salaries of the government employees saw a significant rise. The basic pay under the 7CPC the lowest salary was increased to Rs 18,000 from Rs 7,0000 while the salary of the senior government officials has gone up to Rs 2.50 lakh from Rs 90,000. 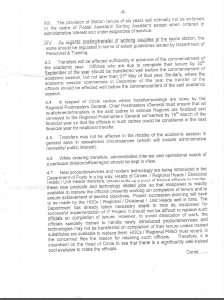 But due to rising inflation and price rise, the junior staffers had already demanded for a hike of more than three times which is: Rs 25,000 per month. Experts believe that in last 68 years, the government has increased the minimum wage of its central government employees by 32,727 per cent (from Rs 55 to Rs 18,000). While the salary of senior staffers has seen a drastic increase of 12,500 per cent, from Rs 2,000 per month to Rs 2.50 lakh per month. But experts believe that the disparity in the minimum wage has been a problem since British Raj, where junior staffers were paid less. Kathmandu, Jan 30 (PTI) India has provided USD 2.49 million to Nepal for the construction of postal highway which runs across the Terai region close to the Indo-Nepal border. “Ambassador of India Ranjit Rae handed over a cheque amounting to Nepalese rupees 249,710,698 equivalent to USD 2.49 million to Minister for Physical Infrastructure and Transport Ramesh Lekhak at the ministry’s office at Singha Durbar in Kathmandu,” according to a statement issued by the Indian Embassy here. A postal road is designated for the transportation of postal mail. It is also known as Hulaki Rajmarg which runs across the Terai region of Nepal, from Bhadrapur in the east to Dudhaura in the west, cutting across the entire width of the country. It is the oldest highway in the country constructed by Ranas to aid transportation and facilitate postal services. Ambassador Rae had inaugurated a campus building for Chautara Multiple Campus, Chautara in Sindhupalchok district situated in the east of Kathmandu last week. The building has been constructed with financial assistance of Nepalese Rupees 27 million provided by India under its Small Development Projects Scheme as part of India Nepal Economic Cooperation Programme, the statement said. The three-storied building consists of 12 classrooms and separate rooms for campus office, accounts, store, meeting hall, computer room and science laboratories. Now, tracking letters or documents sent by the post offices will become easier. 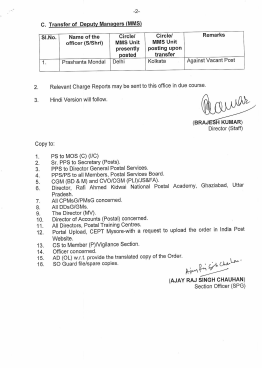 The postal department has started the Core System Integration (CSI) as part of its IT modernisation project. 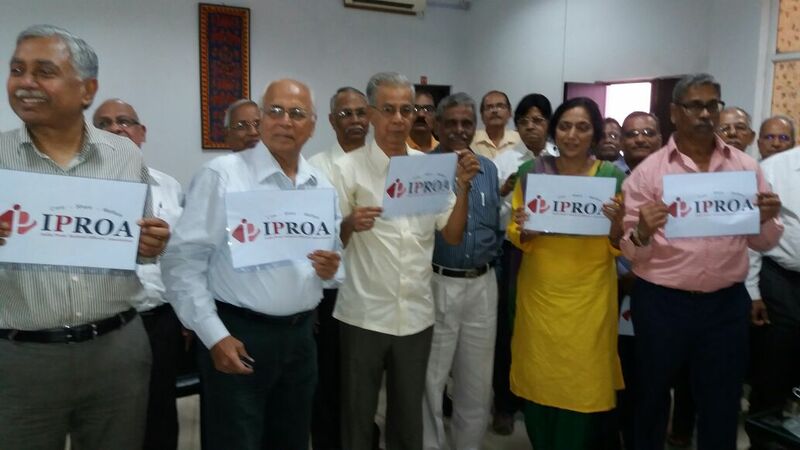 This is the first time in Pune that regional post offices have been chosen for this initiative. 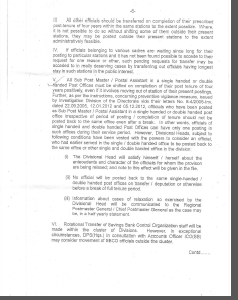 The postal department has picked the Pune City East Division for the pilot roll-out. CSI is an integrated system that includes counter operations, delivery operations, financial activities and human resource management. The CSI is designed to augment the service delivery efficiency of the post offices. Once the documents are sent, a notification will be available to know when it can be expected to reach the recipient. The sender can also track the stage of delivery by using the verification code, which will be GENERATED by the postal office. Delivery boys, who are under constant pressure to transport documents or other packages on time as well as furnish proof about the same to their seniors, are heaving a sigh of relief after this development. 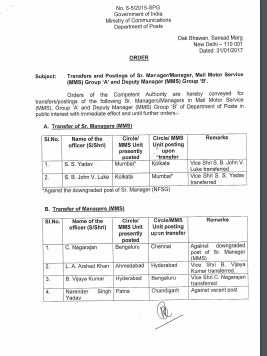 Transfers and Postings of Sr. Manager/Manager, Mail Motor Service (MMS) Group'A'and Deputy Manager (MMS) Group'B'. Data analytics will be used to select cases for verification, based on approved risk criteria. If the case is selected for verification, request for additional information and its response will also be communicated electronically . The information on the online portal will be dynamic getting updated on receipt of new information, response and data analytics. 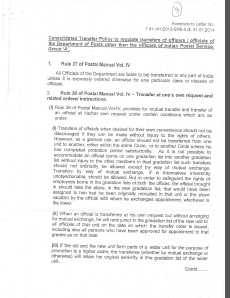 Kindly ask the sols to follow the guidelines given by the Directorate in SB order 5/2016 scrupulously. Kindly ensure that zone issues are reported before 15.00 hours for timely action at our end. 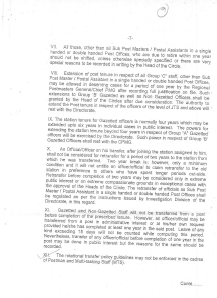 Kindly ensure that the Supervisors do the verification in time as stipulated in the SB order cited above. We come across SOLs wherein Supervisors are doing the verification leisurely. Kindly ensure NIL deletions, replacements and unblockings in the frontend and backend from EOD point of view. When the percentage of sols to complete the work is very little due to the delay in completion of work by the users and when connectivity issues are faced, the users and the CPCs concerned shall wait until the connectivity is restored and complete the work. This is in the interest of service and applies to all. The delay on the part of a handful of sols shall not scuttle the EOD process, DC closure, Back end activities such as downtime and maintenance activities please. CEPT EOD Team follows this rule and this applies to all please. Your kind co operation is solicited in this regard. W Payments banks will have a "multiplier impact" on the banking system and financial inclusion, as they will provide doorstep banking to people in remote areas at lower cost and compete with traditional banks in future, finance minister Arun Jaitley said. Payments banks can accept deposits of up to Rs 1lakh per account from individuals and small businesses. The new model of banking allows mobile firms, supermarket chains and others to cater to banking requirements of individuals and small businesses. The new banks will confine activities to acceptance of deposits, remittance services, Internet banking and other specified services. With the cash crunch situation easing, the Reserve Bank might do away with the weekly withdrawal limits from banks as well as ATMs by the end of next month, bankers said. “I think the restrictions on withdrawal by RBI should be completely lifted by February-end or by first half of March as cash situation is easing gradually,” Bank of Maharashtra executive director R K Gupta told PTI. It is entirely RBI’s decision and the central bank would decide after making holistic assessment of the situation, he said. Another senior public sector bank official said the situation is easing and it is a matter of weeks when the curb on withdrawal gets eased. “My hunch is that it should happen before end of the current fiscal,” the official said, adding, RBI has been progressively easing the curb. The RBI had earlier increased the daily withdrawal limit from ATMs to Rs 4,500 from Rs 2,500 effective January 1, just a day after 50-day demonetisation period ended. Meanwhile, RBI Governor Urjit Patel could not set a time frame before the Standing Committee on Finance for return of normalcy in the banking system even as the central bank asserted that Rs 9.2 lakh crore or 60 per cent of demonetised currency has been replaced. In a surprise move on November 8, Prime Minister Narendra Modi had announced demonetisation of old Rs 500 and Rs 1,000 notes. All over the country, the banks had to deal with huge rush of people who thronged their branches to deposit junked notes. The deadline for depositing old notes with banks ended on December 30. 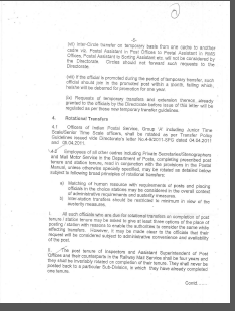 This is regarding transfer of money of those GDS enrolled under SDBS subsequently being absorbed /promoted to a regular Departmental post. 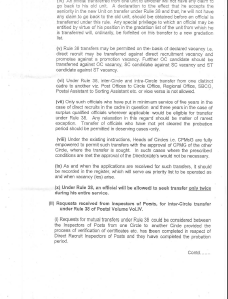 Under this circumstances the GDS are required to quit the SDBS scheme immediately and apply for transfer the accrued accumulations in their PR Account under the SDBS as well as accrued severance amount earned till their date of such absorption/regular appointment to their new account under New Pension Scheme. Hence you are requested to identify such cases in the units under your jurisdiction & supply them prescribed SDBS-1 to apply. 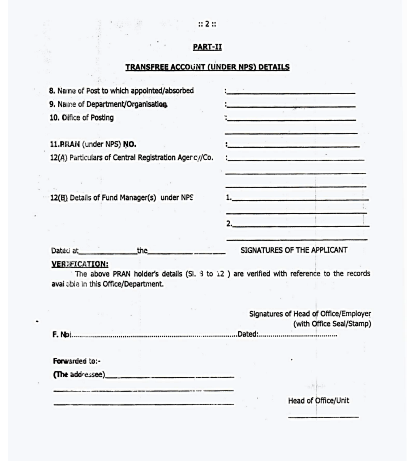 SDBS-I forms duly filled by the applicant & enlisted by the Divn in form SDBS-2 may please be sent to this office for onward submission to the NSDL for transfer of money to the new account as well as deactivating the old one. Pl. 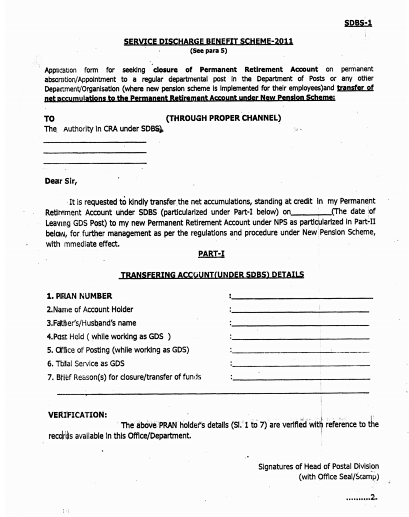 find a copy of form SDBS-I & SDBS-2 with this letter.